Bananas are believed to have originated up to 10,000 years ago and some scientists believe they may have been the world’s first fruit. The first bananas are thought to have grown in the region that includes the Malaya Peninsula, Indonesia, the Philippines and New Guinea. From here, traders and travelers took them to India, Africa and Polynesia. There were references to bananas from 600 BC when Buddhist scriptures, know as the Pali Canon, noted Indian traders travelling through the Malaysian region had tasted the fruit and brought plants back with them. In 327 BC, when Alexander The Great and his army invaded India, he discovered banana crop in the Indian Valleys. After tasting this unusual fruit for the first time, he introduced this new discovery to the Western world. By 200 AD bananas had spread to China. According to the Chinese historian Yang Fu, bananas only ever grew in the southern region of China. They were never really popular until the 20th Century as they were considered to be a strange and exotic alien fruit. The bananas we enjoy today are far better than the original wild fruit which contained many large, hard seeds and not much tasty pulp. 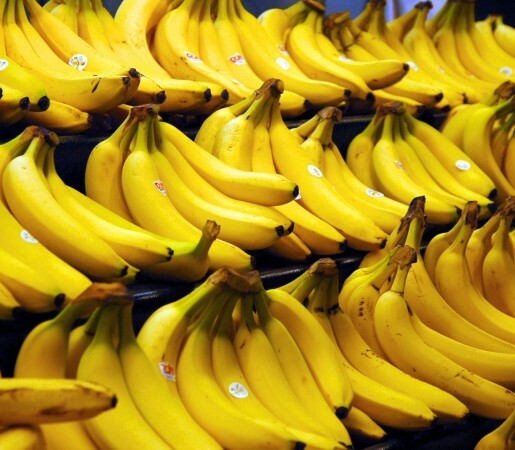 Bananas as we know them began to be developed in Africa about 650 AD. There was a cross breeding of two varieties of wild bananas, the Musa Acuminata and the Musa Baalbisiana. From this process, some bananas became seedless and more like the bananas we eat today.